Editor’s note: This is the second article in a New Dentist Now blog series, My New Dentist Life, following a new dentist’s first year experiences out of dental school. The views expressed in this article are the personal opinions of the author and are not intended to reflect the views, positions or policies of the ADA or the New Dentist Committee. To read previous articles in the series, visit ADA.org/mynewdentistlife. As of last week, I am finally a practicing dentist! My first week (I started Aug. 3) working at Family Dental went, to my surprise, really well. Besides having to get to know a new computer program (Eaglesoft), which slowed me down, everything went swimmingly. I have to say, I was quite nervous the Sunday night before my first day. All that I could think about was the fact that I had not touched a handpiece in about three months. Dentistry really is like riding a bike though. My first few patients felt as natural as if I had never left the clinic. I did a lot of comp exams and recall exams, several extractions and fillings (composite and amalgam) in one week — more than I had done in a few months in dental school. I also started a few dentures and had one root canal, which I thankfully was able to use my WaveOne that I rush-ordered! And most importantly, I met a lot of great new people — patients and staff. The one awkward thing that happened this week, was when my office manager asked me what I wanted the staff to call me. At first she had been calling me Dr. Emily (which I think was because nobody knew how to pronounce my last name correctly). I surprisingly get mispronunciations of my last name a lot, which is odd to me because it is only two syllables. I really had to think about it when she asked me. She is about my age and most of the assistants are about my age. In my head I was thinking, “You can just call me Emily.” But in front of the patients? When I was an assistant, I called the doctors that I worked for Dr. _____ or doc. Eventually we decided on Dr. Hobart. Dr. Emily had a very pediatric dentist ring to it. This definitely caused me a little more anxiety than I would have thought though. Being called “doctor” is just something that I have never experienced! It was a funny moment. 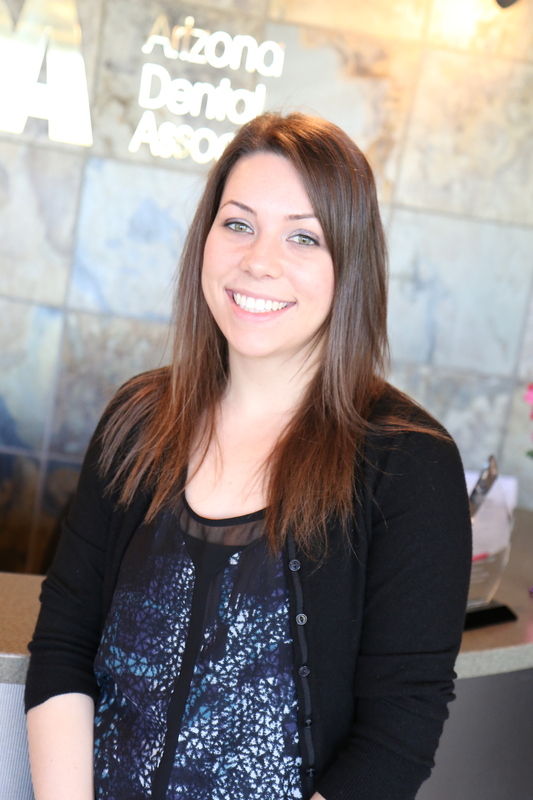 Dr. Emily Hobart is a New Dentist Now guest blogger and an estranged Canadian who grew up in Glendale, Arizona, where she attended dental school at Midwestern University. She is now finding her way as a new dentist in Columbia, South Carolina. In her free time, she loves running, rock climbing, pub trivia, karaoke and traveling! your blog influenced me a lot. really it going to inspire others. I’m sure you were faster then me first week on the job! I assume you’re faster then me at this point? I found your blog through the ADA News and wanted to let you know how much I have enjoyed reading about your journey. I have been associated with dentistry from the restorative laboratory side for over 20+ years. We work with dentist all over the US and we are very interested in what matters most to you and your patients. At Keating Dental Arts, we have partnered with Dr David Hornbrook to produce a website that incorporates podcast, video and blog on everything dental. I’ve been having this same name debate the last month!!! My offices’ other doctors are about 50/50 on first & last names and I just can’t seem to decide which suites me best. Most the time I just introduce myself with my entire name to avoid the confusion… Haha problem solved! When I treat kids I still say Dr. Amy though with hope of come off a little more friendly. Good luck settling in! I search your article in google, and i searched keyword like as “TOP 10 BLOG 2015” then i got your article. i truly liked your article..
Congratulations to Dr.Hobart, we wish you great luck and success on your journey as a dentist!